As we know, IBPS is an epitome of transparency and punctuality.Moreover, this prestigious recruitment body follows a systematic process in every stage of the recruitment cycle from commencement to culmination. 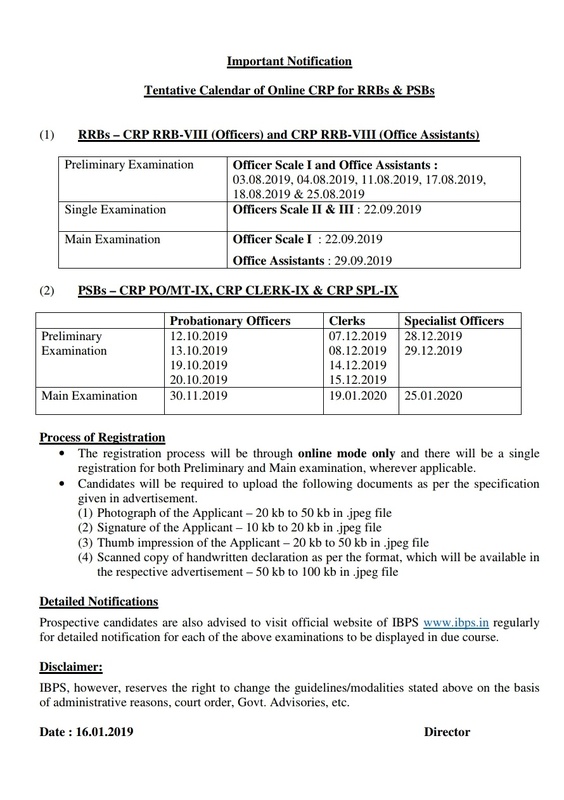 We are glad to inform you that 2019-20 banking recruitment is around the corner as IBPS has rolled out the annual Calendar for 2019-20. This is a golden opportunity for all the aspiring bankers who want to serve in the elite Public sector banks of our nation and be a part of the largest growing economy in the world. Lucrative Salaries, social recognition, and job security have quadrupled the competition over the last couple of years. Hard work, persistence and an efficient strategy are the keys to sail through any examination. So, students! This is the time to start working for your dreams.